Matt’s interest in multicultural issues in healthcare stems from his cross-cultural upbringing between Fiji and Australia. Passionate about Pacific Islander health in particular, he founded an international medical student partnership, Friends4Fiji. Daniel is currently the Fundraising Officer of Friends4Fiji. He is currently undertaking his second clinical year of placement at Peninsula Health. Background: The Islamic community represents a recognisable and growing minority group in the broader Australian context. Some sectors of the international Muslim community have voiced concerns about the ritual cleanliness of vaccines, and seen subsequent lower levels of compliance. Anecdotal evidence suggests Australian Muslims may hold similar concerns. Aim: This study aims to evaluate the information and knowledge with which Islamic parents and staff are equipped to make decisions about immunisation. Methods: Parents and staff at an Islamic primary school were recruited through survey forms sent home for voluntary completion. These surveys were designed to assess the sources of information and level of confidence regarding immunisations as well as highlighting personal perspectives of the participants and misapprehensions. All participants identified as Muslim parents. Results: 40.7% (n = 64) of respondents were not confident that they knew enough about vaccines to make good decisions, while 73.3% (n=115) respondents stated a personal desire for further education about vaccinations and vaccination schedules, suggesting a significant degree of uncertainty associated with the amount of information currently accessible to this cohort of the community. Qualitative responses reflected concerns associated with side effects and the halal nature of vaccines. As these responses included a perceived information gap about material risks, it raises the possibility of invalid consent. Parents obtain information from a variety of sources, the most popular being their general practitioner. However, our data suggested that the public health nurses of the shire council facilitated better knowledge outcomes than general practitioners. Conclusion: By taking the time to communicate material risks to Muslim parents, health professionals ensure confident, informed decision-making and consent. Concerns have been raised in the broader medical fraternity in relation to how statements such as this have influenced Islamic patient’s compliance with immunisation, with data demonstrating a decrease in immunisation rates in majority Muslim countries such as Nigeria  and Pakistan , where leaders and clerics have made complex claims against the safety of vaccines. The level of non-compliance that resulted from these attitudes has set back efforts to eradicate polio worldwide. In response, Warraich  made calls for further study into Muslim populations’ attitudes towards vaccination. In the Australian context, Zwar  mentions that there is “anecdotal evidence that Australian Muslims may share the concerns and fears about vaccination safety” held by their brethren overseas. Having identified the need for more data from the Muslim Australian perspective on vaccines, we endeavoured to assess the information sources and knowledge of the members of one diverse Islamic community, a primary school. Focussing on the degree to which parents are capable and confident to make informed consensual decisions about their child’s immunisations, we endeavoured to determine the extent to which the data reflects trends of unease, and to provide some insight into what gives rise to such concerns. This project received ethics approval from the Community Based Placement Program conveners, mandated by the Monash University Human Research Ethics Committee (MUHREC) to approve low impact research. A mixed methods design was employed. A survey, designed by the authors, was used to collect qualitative and quantitative data anonymously from participants, who were parents of the students who attended the Australian International Academy King Khalid Campus primary school, and members of staff who were parents (irrespective of where their children attended school). Conducted as part of a community based health promotion project, the school agreed to host the researchers and provide supervision on the condition that sensitive questions pertaining to demographics or religious sensitivities were not explicitly asked. Participants were recruited through one of two methods: the first being hand delivery of surveys to staff with children of their own (thereby parents themselves), and the second through the bi-monthly newsletter received by every family within the school community. Surveys were accompanied by corresponding consent documents and explanatory statements. Consent forms were received before inclusion of data. A total of 300 surveys were distributed to potential participants. Key measures of interest were the information sources and knowledge with which these parents are equipped to make decisions surrounding vaccinations for their children and themselves. Thirteen survey questions were organised into three domains: “Obtaining Information” asking about where their knowledge about vaccines was sourced, “Concerns” which assessed for misapprehensions and misinformation about vaccines, and “Vaccines” which invited them to indicate how confident they felt in the process and their level of understanding, and their desire for more education on vaccines. At the end of those questions a single space was given where respondents could write any comments or questions sparked by the survey. Additionally, individuals surveyed were asked to include the year level of their eldest child in order to allow comparison of data across a spectrum of child age as an indicator of length of parent exposure to the immunisation process. No other demographic data was collected at the request of the school. Descriptive statistics were used to analyse responses, with bivariate analysis of statistics to assess correlations between sources of information, age of eldest child and degree of confidence and knowledge about vaccinations. The narrative provided as feedback was also analysed for themes. Data were analysed using Microsoft® Excel 2003. Qualitative responses were examined for recurring themes and considered in conjunction with statistical evidence as a means of determining study results. The researchers received a total of 157 validly completed survey forms out of the 300 distributed to the parents and staff of the school, a 52.3% response rate. No differentiation was made between parent or staff member status within the school as all participants were Muslim parents. In accordance with state legislation, all children of respondents were fully immunised at the time of enrolment. 15 respondents chose to use the space provided in the survey to give qualitative feedback, comments from which are interspersed below into the relevant domains. Participants of the study indicated that knowledge and guidance regarding immunisation were gained through a multitude of sources. The research confirmed that all participants had undertaken information seeking regarding childhood vaccination. Surveys illustrated that 80.9% (127/157) of participants had used more than one source to assist in the decision-making process; while only 19.1% (30/157) had relied solely upon a single source. Of the 30 who had based their perspectives upon one source of information, 90.0% (27 out of 30) had consulted a healthcare professional – general practitioner (GP) or nurse, while the remaining 10% (3 out of 30) all received input from the local council. Flyers, (3.2%), friends (20.4%), internet (22.9%) and media (26.1%) were all used, in conjunction with other resources, to aid in the enhancement of their vaccination knowledge. Results indicated that 86.0% of all participants had sought education from GPs making them the most commonly accessed source. “I go with what my local doctor tells me to do, which I assume was the best thing to follow,” was the feedback received from one participant. One respondent commented: “I don’t believe enough information is provided to families about each vaccination, what it does and the side effects.” When asked about possible health concerns associated with vaccinations, 50.0% of all respondents (78 out of 157) were not aware of the possible side effects of vaccinations. In fact, 75.8% (119 of 157) of participants stated that they were concerned that vaccinations would have adverse outcomes on their children’s health. “I wish there was more information about it as we took it as it is a must and the government encourages it,” remarked one respondent. Only 60.3% (93 of 157) of parents were sufficiently comfortable with their level of knowledge to make an informed decision pertaining to their child’s immunisations. This suggested that almost 40.0% (64 parents and staff) were not confident in their ability to make an informed decision for themselves or their family. Furthermore, 73.3% (115 of 157) stated a personal desire for more information about vaccinations and vaccination schedules. When comparing knowledge confidence between those who received information from a GP versus those who received their information from the shire, council nurses, the latter group had slightly better outcomes than GPs (73.5% to 71.1%). The value of increased engagement with council nurses was highlighted in our report recommendations. This research represents a sizable study into the Australian Muslim community’s approach to immunisation: the largest published study involved only 22 informants belonging to one ethnic group. We valued the opportunity to undertake our fieldwork in a school environment, because it provided a snapshot of the broad cross-section of individuals who make up this community, and the attitudes and knowledge of those who make decisions on vaccinations. In the future, it would be useful to explore how patient-centred factors, such as education and language impact on decision-making. The emergent theme was that the greatest concerns could be traced back to accessing relevant information about vaccination, with 73.3% of respondents having stated a personal desire for further education about vaccinations and vaccination schedules. This suggests some dissatisfaction with respect to their own levels of knowledge around vaccines and the education provided about vaccines as part of their decision-making. As a result of this disparity our research saw a startlingly high proportion of respondents (75.8%) concede concerns that vaccinations would have adverse outcomes on their children’s health. Half of all respondents also admitted ignorance with regards to potential vaccine side effects in the survey. One of the consequences of this lack of knowledge by decision-makers is evidenced by the 40.76% of respondents who did not feel well equipped to make good decisions for their families. This reflected in comments such as this from one respondent: “I go with what my local doctor tells me to do, which I assume was the best thing to follow,” sentiments echoed across the world. We propose that this lack of confidence, combined with a suggested sense of a culture of paternalism, remains prevalent in the doctor-patient interaction with regards to vaccine decision-making in this community, hampering the quality of consent given. Analysis of the levels of confidence in participants’ knowledge showed that those participants who had received information from council nurses had more confidence in their decision making about vaccines than those whose main source was their general practitioner. This highlights a need for patients and general practitioners to partner with these valuable community nurses to enhance patient education and confident decision-making. 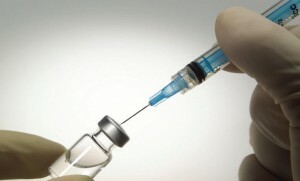 Various vaccines, including MMR and the Hib vaccines, compulsory for Muslim pilgrims undertaking the Hajj  contain or involve porcine products in their manufacture, and are thus technically unclean. However, Islamic judicial and medical bodies embracing the value of beneficence have created an exemption for such products in the interests of public health. The British statistics, as well as the findings of our study demonstrate that practicing Muslim patients harbour concerns about the halal nature of vaccines, and as such doctors need to be aware of concerns surrounding the prohibition and be able to effectively communicate the facts and exemptions of vaccine composition and manufacturing. This should include the referral of a patient on to more comprehensive sources should the need arise. This investigation was undertaken to explore decision-making immunisation. Our study of this Islamic school community clearly demonstrated a perceived information gap with the information presented surrounding vaccinations and a consequent lack of confidence in their decision-making process. Qualitative and quantitative feedback obtained in this study provided evidence that the current information provided on vaccination is not catering to the needs of this Islamic community. One limitation of our investigation was lack of access to a non-Islamic control group as a point of reference for the broader Australian community’s attitudes and knowledge. A broader information base would have clarified components of vaccine education generic to all communities and allowed tailoring education programs to the needs and concerns of individual communities. With respect to the Muslim community, there is scope for further inquiry into attitudes and awareness of general practitioners and nurses about the halal status of immunisations and other medical interventions, to triangulate the data and provide a basis for enhanced vaccine provider education. The present study, however, provides evidence to encourage an increased role for council nurses in parental vaccine education, as well as identifying the desire of some Muslim parents for education on and confirmation of the ritual cleanliness of vaccines. By taking the time to inquire about and educate parents on all material risks, health professionals ensure confident, informed decision-making on the part of parents and a safe, healthy future for our children. We are grateful for the assistance of our Academic Advisor, Monica Mercieca, the support of our Field Educators, Ms Rabia Jones and Ms Angela Florio, and all the staff and students of the Australian International Academy – King Khalid Campus. 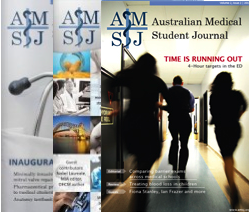 Mohammadi N, Evans D, Jones T. Muslims in Australian Hospitals: clash of cultures. Int J Nurs Pract 2007;13(5):310–5. Easterbrook C, Maddern G. Porcine and bovine surgical products: Jewish, Muslim and Hindu perspectives. Arch Surg 2008;143(1):366-70. Kapp C. Surge in polio spreads alarm in northern Nigeria. Lancet 2003;362(1):1631. Ahmad K. Pakistan struggles to eradicate polio. Lancet Infect Dis 2007;7(4):247. Tackling negative perceptions towards vaccination. Lancet Infect Dis 2007;7(4):235. Warraich H. Religious opposition to polio vaccination. Emerg Infect Dis 2009;15(6):978. Brooke D, Omeri A. Beliefs about childhood immunisation among Lebanese Muslim Immigrants in Australia. J Multicult Nurse Health 1999;10(3):229-36. Taylor H. Barriers to informed consent. Semin Oncol Nurs 1999;15(2):89-95. Marfé E. Immunisation: are parents making informed decisions? J Spec Pediatr Nurs 2007;19(5):20-2. Young R. Informed Consent and Patient Autonomy. In: Kuhse H, Singer P, editors. A Companion to Bioethics. Oxford: Wiley-Blackwell; 2010. P.379-89. Eldred BE, Dean AJ, McGuire TM, Nash AL. Vaccine components and constituents: responding to consumer concerns. Med J Aust 2006;184(4):170–5. Bashir A, Asif M, Lacey FM, Langley CL, Marriot K, Wilson A. Concordance in Muslim patients in primary care. Int J Pharm Prac 2001; 9(1):78. Saudi Ministry of Hajj. Riyadh: Hajj 2010 Health Requirements [Internet]. 2010 [cited 2010 Oct 16]. Available from: http://www.hajinformation.com/main/p3001.ht. Islamic Organization for Medical Sciences. The use of unlawful or juridically unclean substances in food and medicine [Internet]. 2009 [cited 2010 Aug 15] Available from: http://www.islamset.com/qa/index.html.